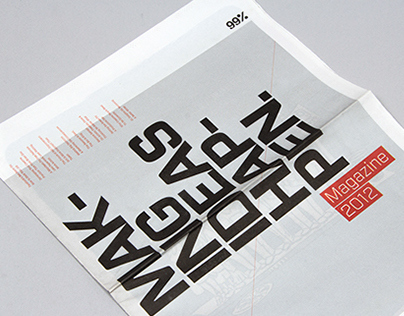 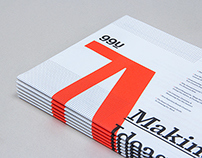 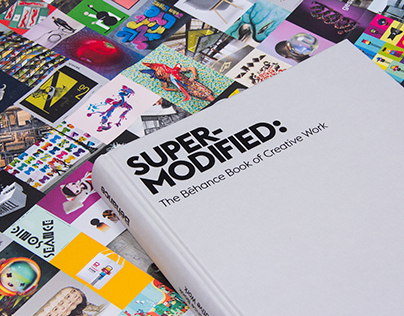 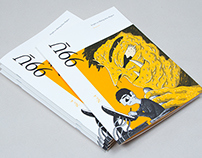 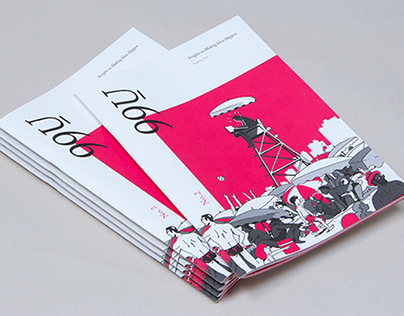 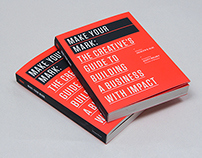 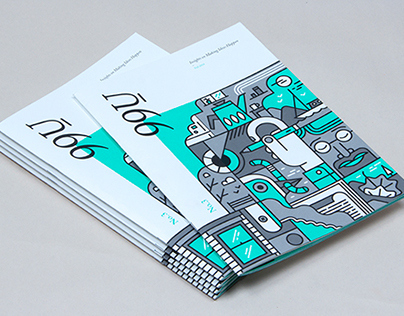 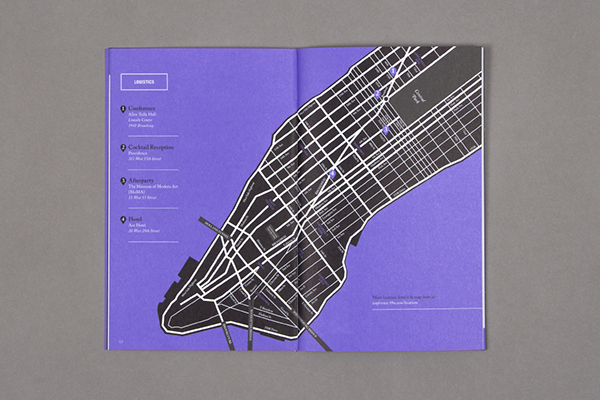 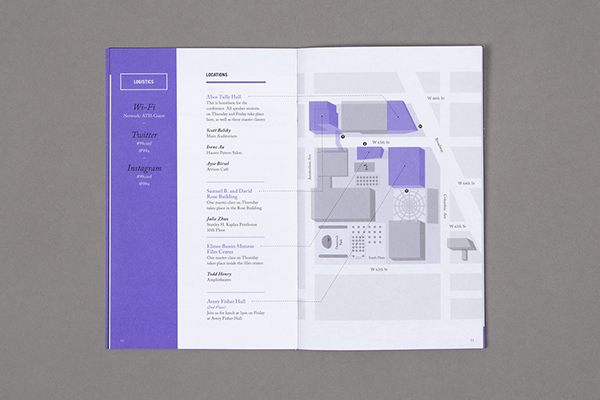 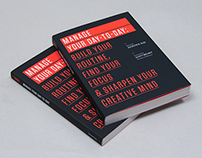 All of the 99U Conference materials get re-imagined and re-designed by the Behance Team every year, and 2014 was no different. 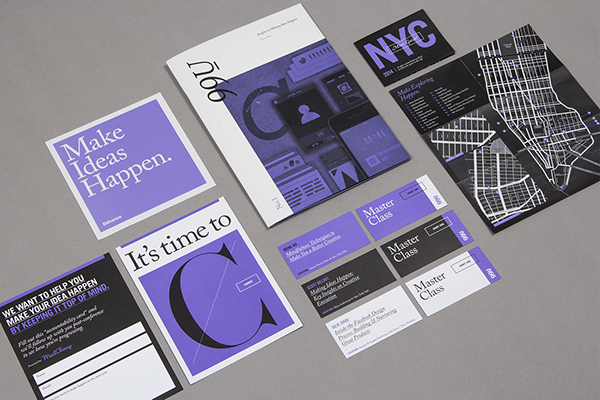 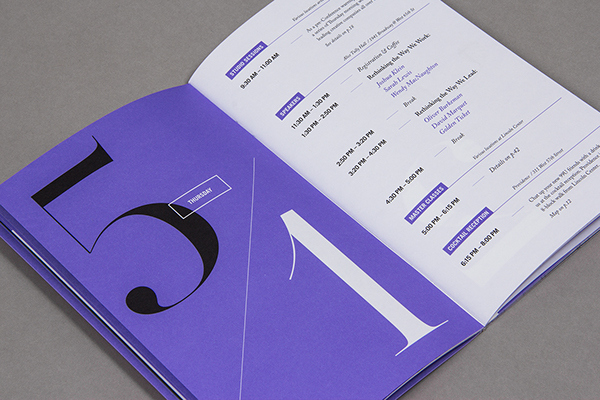 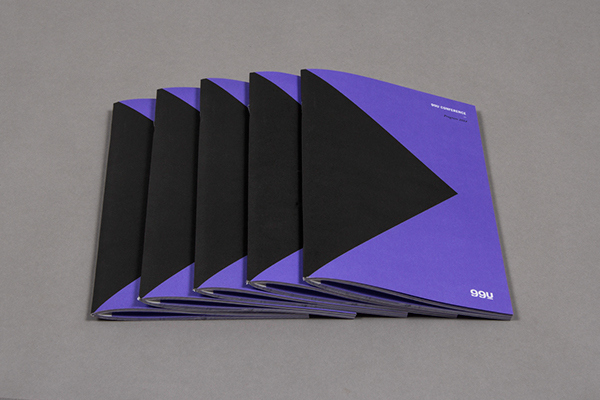 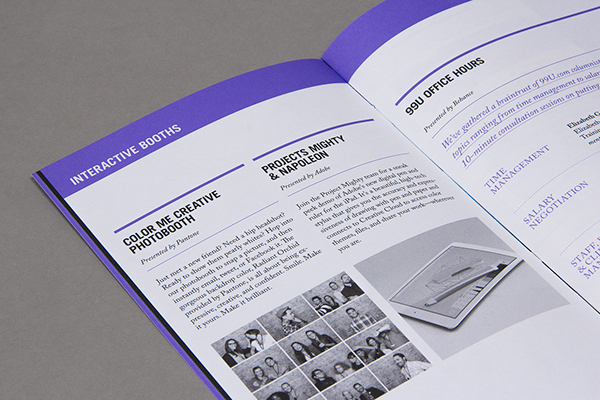 For the conference’s sixth edition, we used the bold combination of black, white, and purple (Pantone 2725 U). 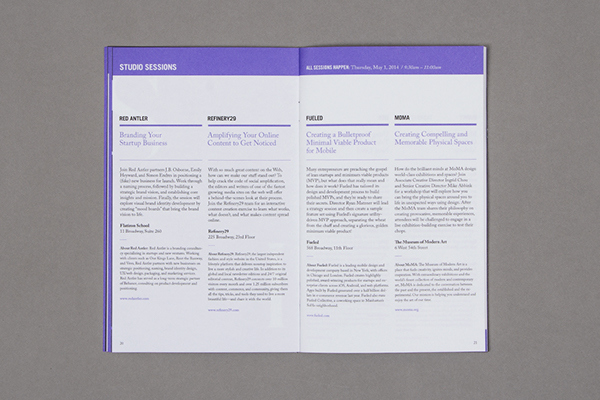 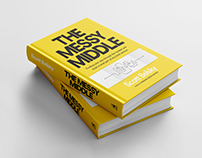 We also experimented with new typographic treatments contrasting sans-serif and serif fonts Trade Gothic Bold Cond. 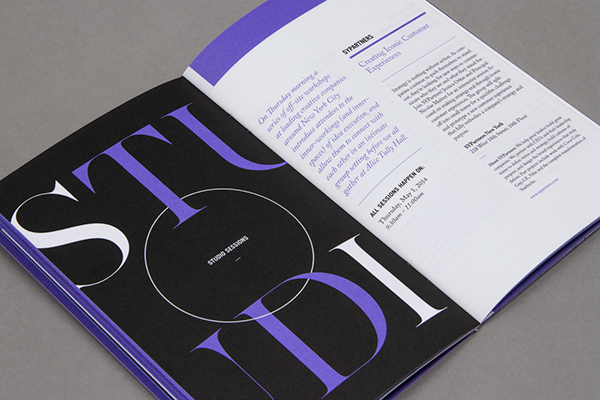 20, Adobe Caslon Pro, with accents of the elegant font AW Conqueror. 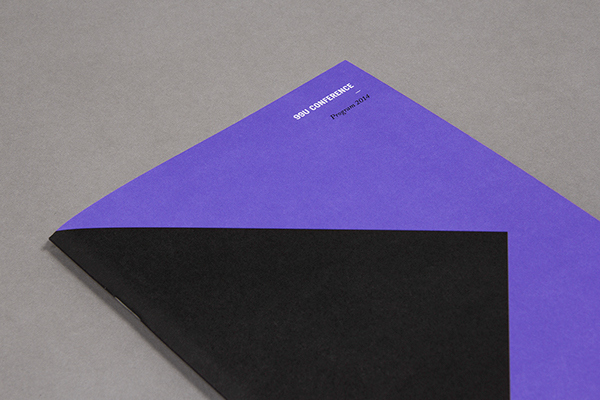 Simple, bold, geometric shapes punctuated the materials where we created subtle optical illusions through the manipulation of lines and depth of field. From a custom "make ideas happen" sticker, to master class tickets & a series of cards, many individual pieces make up the conference and go into our very own goodie bag! This year we were happy to introduce the 99U Quarterly, a brand new print publication offering our best creative insights packaged in a beautifully designed pixel-free format.